The Newnes Know It All Series takes the best of what our authors have written to create hard-working desk references that will be an engineer's first port of call for key information, design techniques and rules of thumb. Guaranteed not to gather dust on a shelf!Electronics Engineers need to master a wide area of topics to excel. 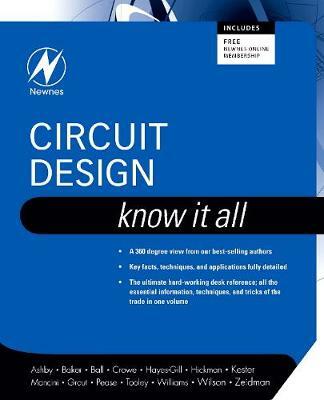 The Circuit Design Know It All covers every angle including semiconductors, IC Design and Fabrication, Computer-Aided Design, as well as Programmable Logic Design.